There are some places that abstinence to be missed if you come to Bali on holidays. In addition to the kuta beach area, you should try to come to another area which is still included in the Badung regency: “Nusa Dua Beach“. Nusa Dua is an area that abstinence to be missed. Of course, the charm of beautiful nature is the main reason why you should visit this place. What are presented in this area? Nusa Dua area is located approximately 15 km away from Ngurah Rai Airport. Just 30 minutes to arrive at this place. If you’re from Denpasar city, 35 km is the distance that must be taken. However, the enchanting beauty of white sand on this Bali beach makes all the tourists don’t care about the distance. 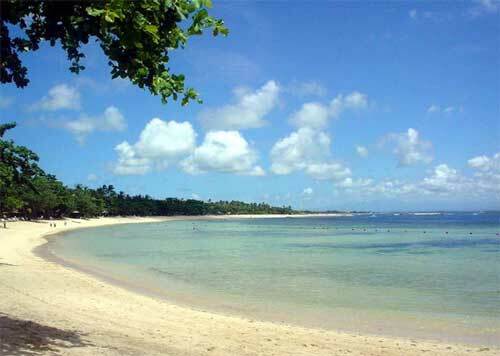 For Bali beach lovers, nusa dua bali is a paradise for them. Imagine, if you have enough funds, the hotels that directly connected with the shore always ready to accommodate. One hotel that has room adjacent to the beach is Aston Bali Resort. The rates start from USD 78.00. Some other accommodation near this area are Nusa Dua Beach Hotel & Spa, Novotel Bali, Kayumanis Private Villa & Spa, and The Grand Bali. This region is regarded as a VIP holidays. And of course, the hotels in this area also provide facilities that commensurate with its price. 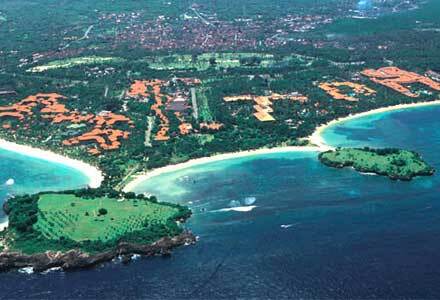 The name “Nusa Dua” itself comes from two island (nusa=island, dua=two) in this coastal region. These small islands was attached to the shore, so you could reached only by foot. In each island stands a temple. On the south island, there are spots namely “Water Blow”. At this Water Blow spot, tourists can see very large waves splashing and hit the rocks that sometimes produces a rainbow. This scene is one of main attraction at Nusa Dua Bali. 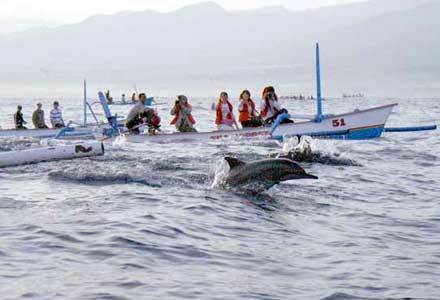 If you are water sport lovers, the beach in Nusa Dua bali provides all sorts of water sports. 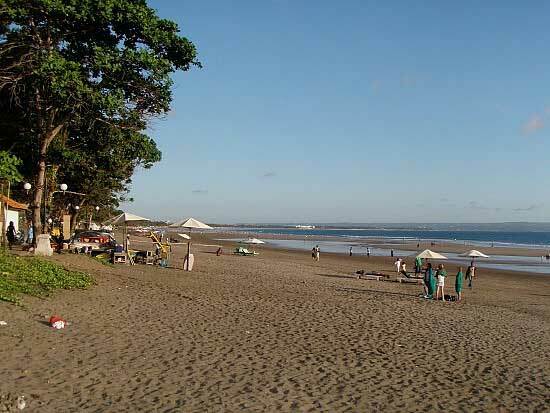 You can enjoy fly-fish, banana boat, parasailing, or just swim in this bali beach. Especially for parasailing, you will guide by instructors who help you control the parachute when in the air. Throughout your weight below 150 kg, parasailing is safe enough to do. For some tourists, this sport is fun. This parasailing cost usually between USD 17 to USD 28 for a single flight. 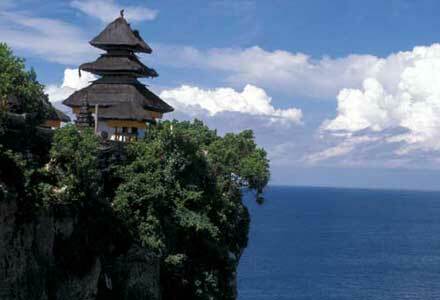 This region is one of the best Bali’s tourism place. Nusa Dua area is one place that should be included in your list when visiting Bali. Such clever work and reporting about Bali nusa dua! Keep up the terrific works guys I’ve you guys at nusa dua beach! Fantastic blog you have here but I was wondering if you knew of any community forums that cover the same topics talked about Bali? I’d really like to be a part of community where I can get suggestions from other knowledgeable individuals that share about Bali around. If you have any suggestions, please let me know. Kudos! Nusa dua area resort is the small adjustments that create the largest shift. I have been following and reading your blog about 2-3 days before go to bali. thanks! Sometimes I visit various place but nusa dua smashed me. Best. Muy interesante la informacion, Deberian haber mas paginas como esta. La voy a recomendar!